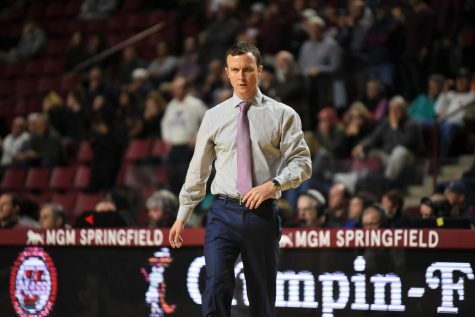 While it is not time to hit the panic button just yet on the Massachusetts men’s basketball season, the gauntlet of Atlantic 10 games to start conference play hasn’t done the Minutemen any favors. 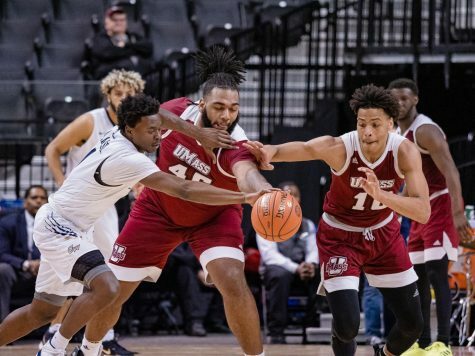 For a half, UMass (10-6, 0-3 A-10) looked like it was capable of going toe to toe against one of the A-10’s top contenders in Virginia Commonwealth. 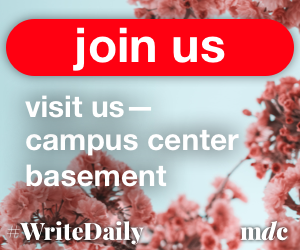 The Rams (13-3, 3-0 A-10) and Minutemen went back and forth exchanging leads, but that’s when VCU’s experience took over. 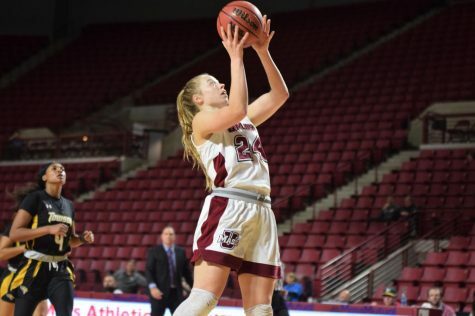 The Rams’ lead ballooned to as much as 19 points in the second half and played on cruise control for the final 20 minutes as UMass fell 81-64 at the Siegal Center in Richmond, Virginia, giving the Minutemen their third straight loss to open A-10 play. 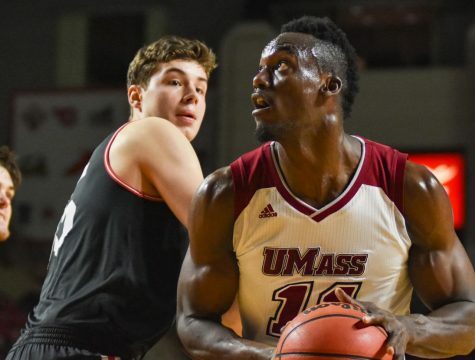 Rashaan Holloway was one of the few bright spots for UMass Saturday finishing with 22 points, 11 rebounds and four blocks, all of which are new career highs just days after posting his first career double-double against George Mason. The two teams exchanged leads five times in the first half with neither the the Minutemen nor VCU leading by more than six points in the first 20 minutes. 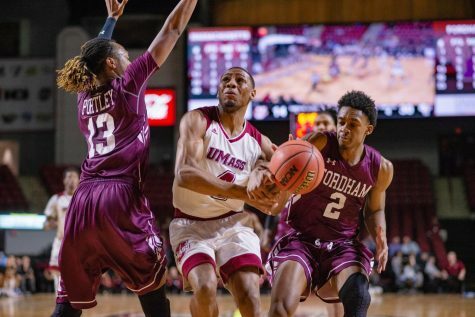 However, after Holloway’s layup with four minutes, 50 seconds left, UMass failed to convert a field goal until DeJon Jarreau’s layup to beat the buzzer at the end of the half sent the Rams into the locker room with a 33-29 lead. 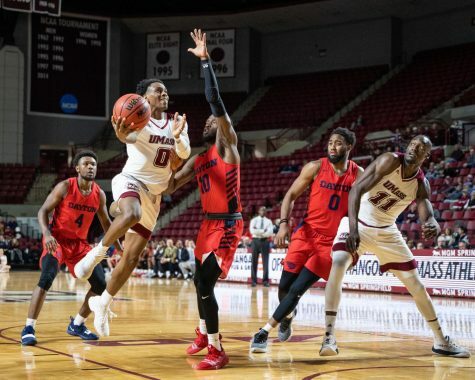 After scoring the Minutemen’s first eight points to open the second half, Holloway was forced to take a seat on the bench after picking up his third fouled 3:15 into the frame. With Holloway on the bench, VCU extended its lead to 11. 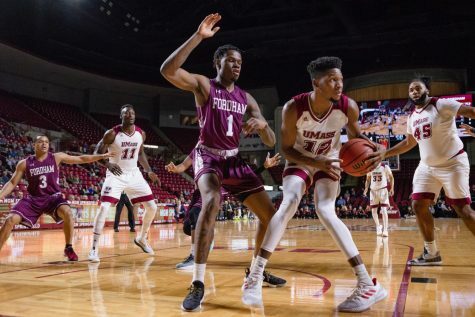 UMass’ backcourt – and main scoring options – struggled to find any sort of rhythm as Jarreau, Donte Clark and Luwane Pipkins combined for just 10 points on 3-for-22 shooting. 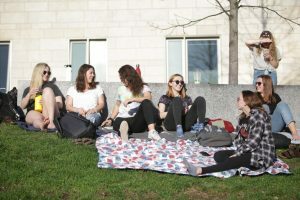 Outside of Holloway’s 22, C.J. 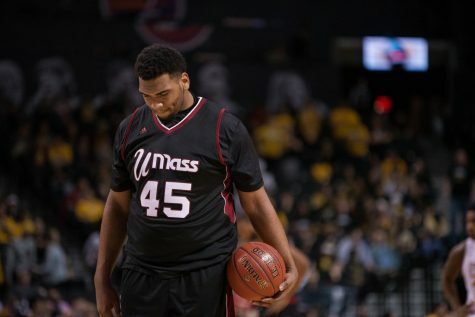 Anderson was the only other UMass in double digits finishing with 12 points off the bench. Zach Lewis added nine points off the bench to go along with Ty Flowers’ seven. Despite being held scoreless in the first half, JeQuan Lewis led all Rams scorers with 17 points including four 3-pointers. Doug Brooks (14 points), Jonathan Williams (12) and Justin Tillman (12) all notched double figures as the VCU won its seventh straight game. 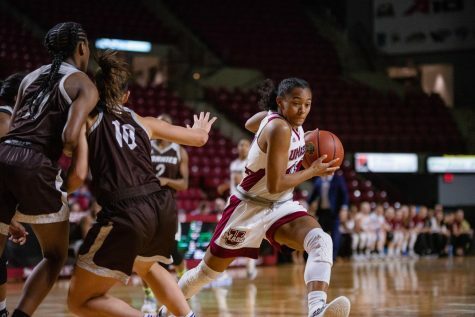 The Minutemen struggled to contain the Rams as they out-rebounded UMass 45-32, including a 15-7 edge in offensive rebounds. 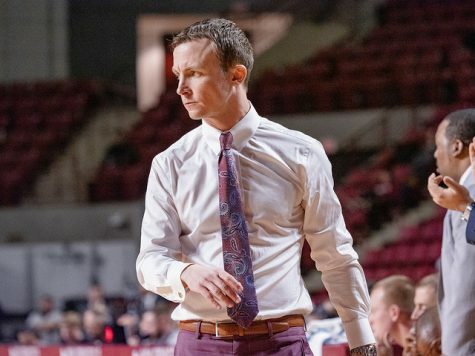 UMass returns back home to Mullins Center Wednesday night to host Dayton. Tipoff is set for 7 p.m.